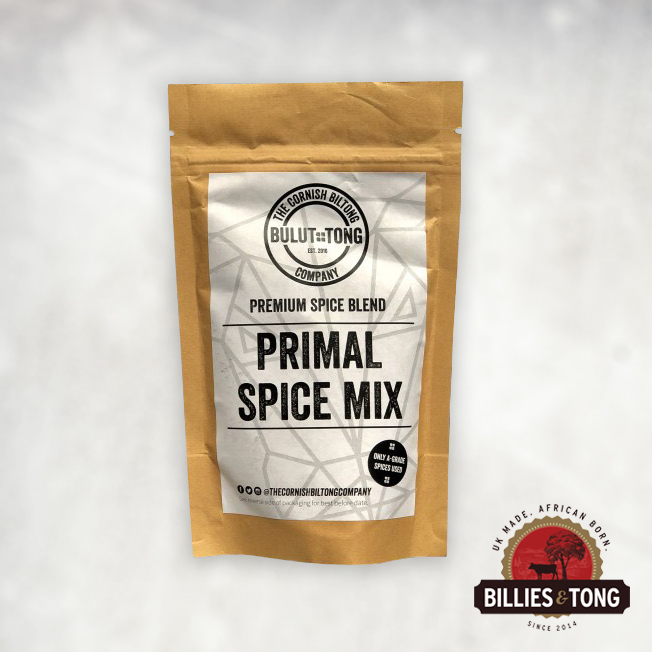 NEW to Billies and Tong is a delicious spice from Cornish Biltong. It is 200g of their delicious secret, Primal Spice Mix to help you recreate their wonderful flavours from home. This can be used to make your own biltong, or help flavour any meat or fish dish.